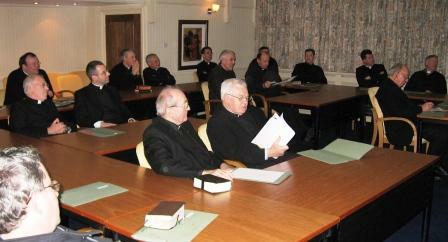 I got back Wednesday night from Dublin where we had a good conference for diocesan priests. Topics included an analysis of the current situation in Ireland by an Irish journalist, the effect of the pontificate of Pope John Paul on young people and the new movements - with particular reference to France, and the talk I gave on promoting vocations. On the Wednesday a number of speakers addressed different aspects of bio-ethics. The conference took place at Lismullin Conference Centre which is in County Meath, and we were welcomed on the first day by the local ordinary, Bishop Smith. 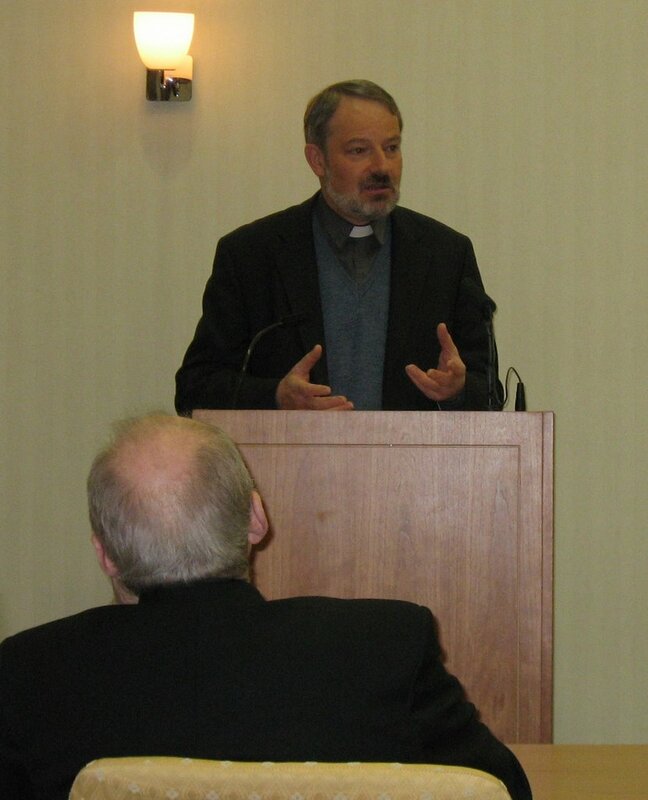 It was interesting to hear his tales of being a secretary at all the sessions of the Second Vatican Council. Fr Kevin Doran, formerly the head of the Irish Vocations Office, addresses the assembly on questions of moral theology. We also had a very interesting evening with Fr Vincent Toomey, emeritus professor of Moral Theology at Maynooth (the only seminary left in southern Ireland). He had been a doctoral student in Regensburg under Professor Josef Ratzinger, and since then has kept up regular contact with his tutor. A number of priests had travelled over from England to attend the Conference, including Fr Richard Biggerstaff who is on the Arundel & Brighton Vocations Team. There were also young priests from Northern Ireland and from Scotland.